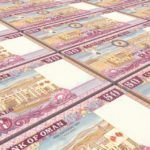 The dinar is the world’s most valuable currency, but it has only been around since the 1960s. How did it get here, and why is it worth so much? Like other Gulf states Kuwait was administered by the British following the collapse of the Ottoman Empire after WWI. The British introduced the Indian rupee as the main form of currency in Kuwait before it was replaced by the Gulf rupee in 1959. The Gulf rupee only lasted until 1961 in Kuwait before it was replaced by the dinar (although the Gulf rupee remained in circulation elsewhere until 1966). Initially the currency was worth one British pound, or 13.33 rupees. After the 1990 Iraqi invasion of Kuwait a large volume of banknotes were stolen and the Iraqi dinar became the nation’s currency until the liberation by American led forces. 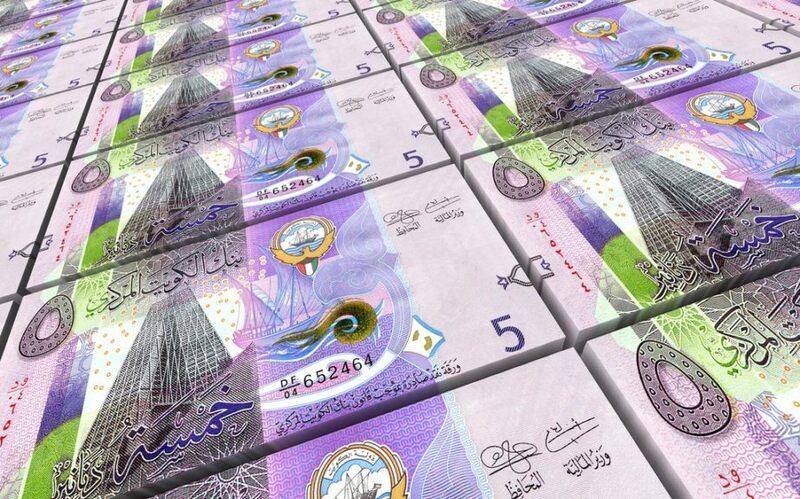 Once the Iraqis had been expelled the Kuwaiti dinar was restored as the country’s currency. The Kuwaiti dinar is the highest-value currency in the world. At the time of writing 1 KWD was worth 3.29116 USD, or 4.35044 CAD. The currency is pegged by the Central Bank of Kuwait to an undisclosed basket of currencies. The first series of coins included 1, 2, 5, 10, 20, 50, and 100 fils coins, but the first two have since been discontinued. There have been six series of Kuwaiti banknotes. The first was circulated from 1961 to 1982. ¼ , ½, and 10 dinar notes supplemented the original series in 1970, and 1 and 5 dinar notes were added in 1971. The third series was released in 1980 with the acension of Emir Jaber al-Ahmad al-Jaber al-Sabah but this series was made invalid after it was stolen by Iraqi forces. The fourth series was issued after the invasion in 1991 and it remained legal tender until 1995. The fifth series was introduced in 1994 with state of the art security features. The latest series was released in 2014 and included tactile features to enable the blind to identify different denominations. It is no secret that one commodity dominates the Kuwaiti economy: oil. 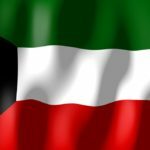 Oil revenue and the growing financial sector have made Kuwait the fourth richest country in the world per capita and unemployment sits at just 3.4%. Unlike other Gulf states Kuwait is not focussing on the tourism industry. Refined and crude petroleum make up a combined 87% of the country’s exports. The country has also invested heavily in innovation, and is responsible for the second most patents registered in the Arab world, and the most per capita. Kuwait also transfers ¼ of state revenue every year into its Future Generations Fund. Despite this, the world is undeniably moving away from oil. 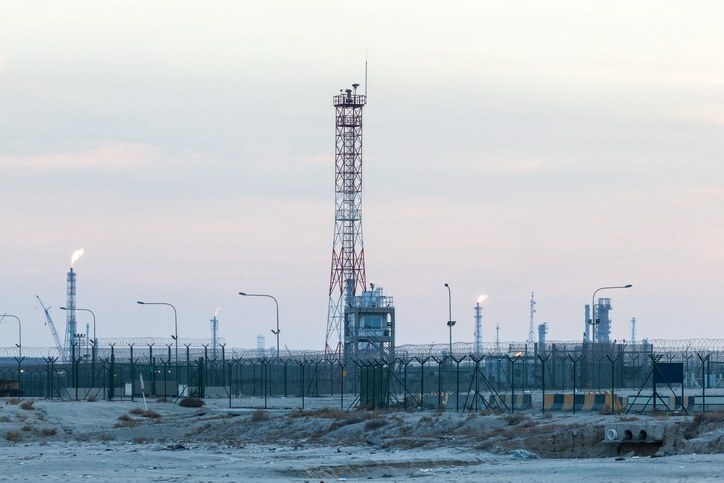 Kuwait is in a stronger position than many other oil producing nations, but there is still more to be done to offset the eventual end of oil. Kuwait and the dinar are currently very strong thanks in no small part to demand for oil. 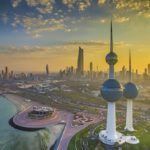 Kuwait has taken important steps to mitigate the potential fallout of the eventual decline in oil demand. For now the dinar and Kuwait show no signs of slowing down. Learn more about Kuwait with our Country Profile and Travel Guide.